Study the products shown below, most are chairs. Each has been designed in the Memphis style. 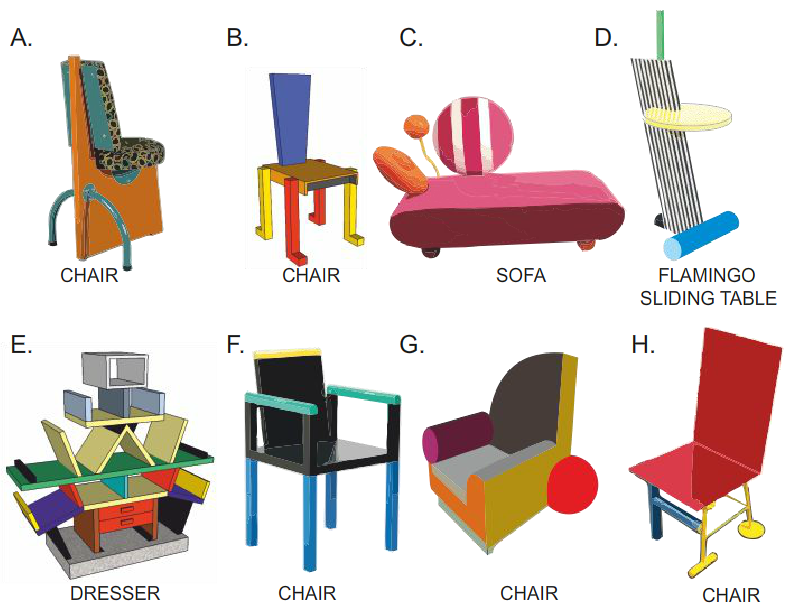 Sketch a design for a new chair, based on the Memphis style and characteristics. When your design is finished, ask the person / design team next to you, to place a tick alongside every Memphis characteristic that your design satisfies.